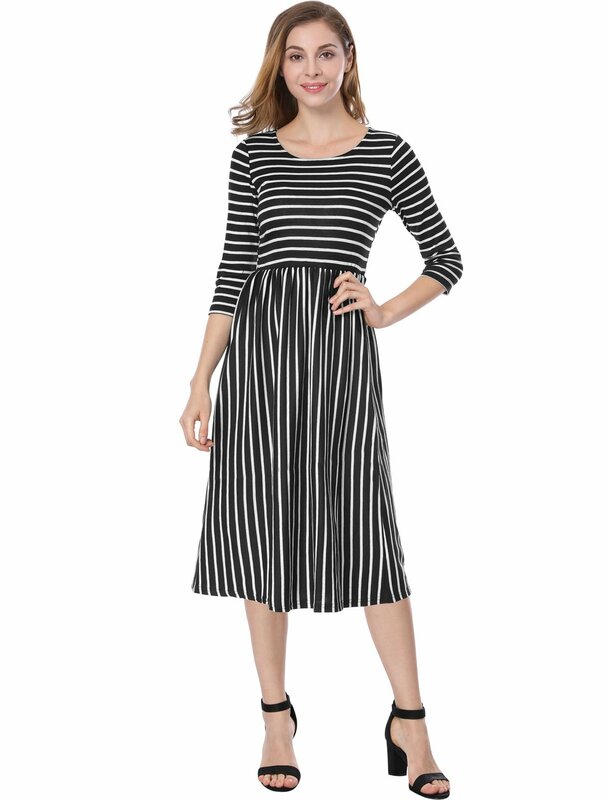 This dress is great for party, beach, walking down the street, shopping, daily life, school, vacation, and many occasions. Great to pair with heeled sandals. 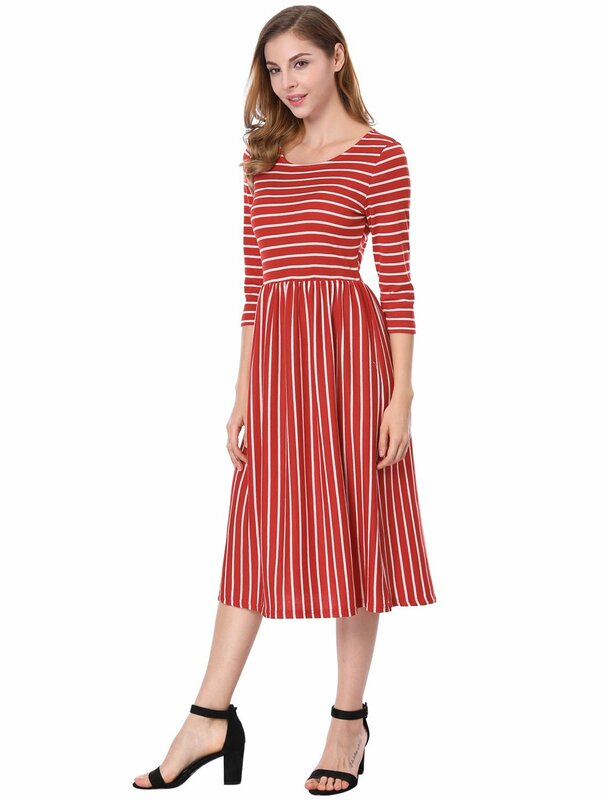 Cut with feminine three-quarter sleeves, a midi dress transitions seamlessly from the workweek to weekend in stripes that shift direction at the flattering waist. The measurement of front length is from shoulder to bottom.